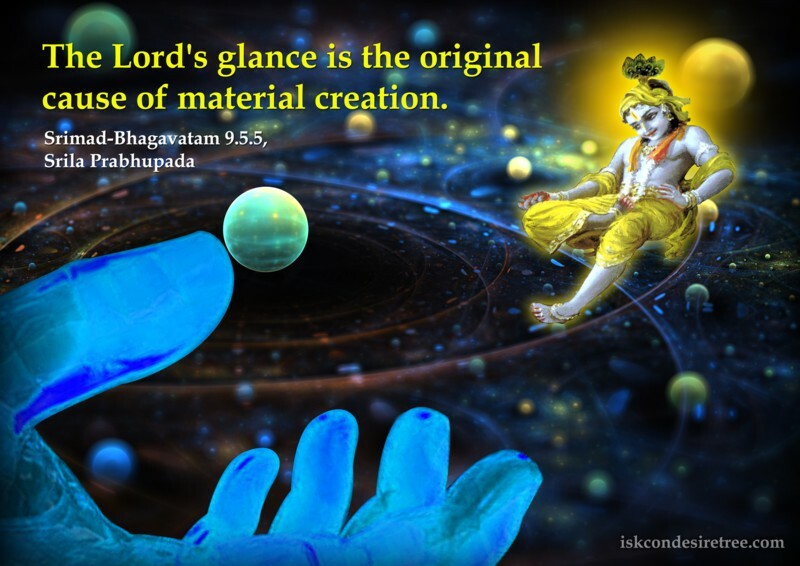 The panoramic beauty of nature, which strikes one with wonder, may be taken as a perverted reflection of the transcendental body of the Lord. 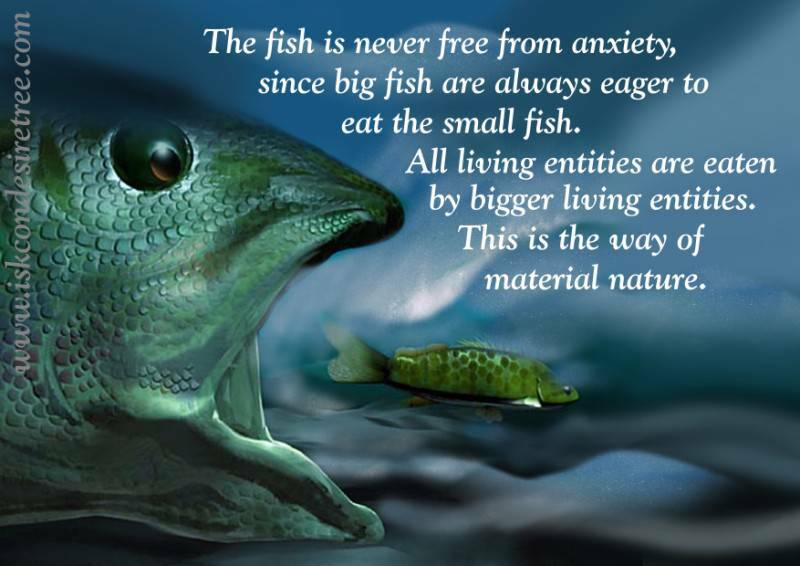 The fish is never free from anxiety, since big fish are always eager to eat the small fish. All living entities are eaten by bigger living entities. 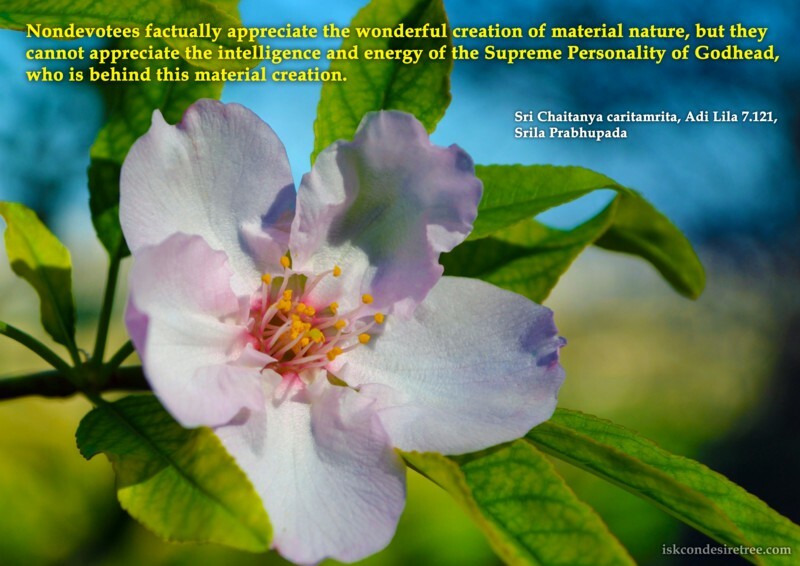 This is the way of material nature. 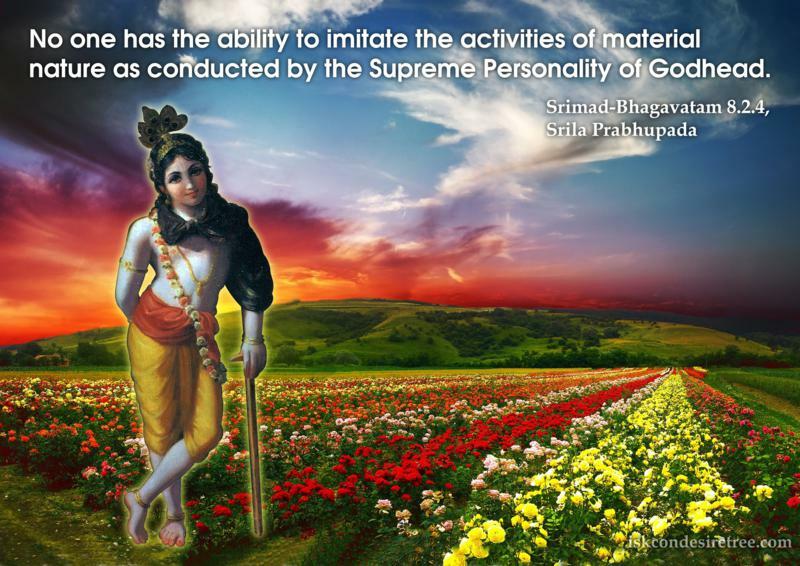 Nondevotees factually appreciate the wonderful creation of material nature, but they cannot appreciate the intelligence and energy of the Supreme Personality of Godhead, who is behind this material creation. 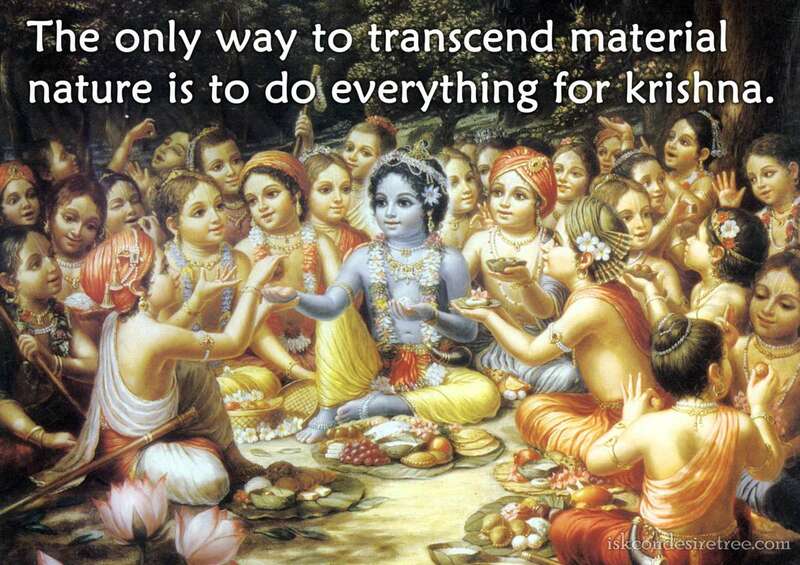 The only way to transcend material nature is to do everything for Krishna.